Fertimix offers a large selection of In-Stock and Made-to-Order fertilizers. If you are a homeowner looking for a fertilizer supplier for your yard or you are a turf management professional or a reseller, we can provide you with the highest quality fertilizers in small quantity retail sales, large quantity wholesale orders or bulk by the tote or the truckload. 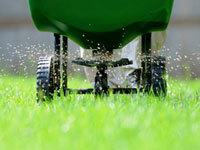 Whatever your fertilizer needs, we can help. See our Fertilizer page for more details. 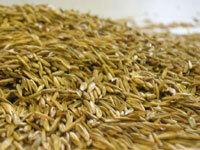 At Fertimix we offer a varied selection of grass seed blends for your turf management project. Whether you are looking for a blend of grass seed for sunny areas, shady areas or a little of both we have the right grass seed for you. We also offer grass seed blends for athletic fields and grass seeds for overseeding. Give us a call, stop by or take a look at our Grass Seed page to see how we can help with your grass seed needs. More than just fertilizers. At Fertimix we also offer a range of aquatic, turf and ornamental herbicides for homeowners, resellers and a variety of turf management professionals. 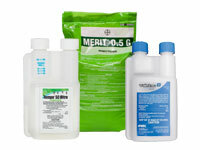 Herbicides available in both granular and liquid form, by the piece or by the pallet. Whatever your turf management project may be, take a look at our Herbicides page to see how we can help with your project, big or small. Beyond looking good with fertilizers and herbicides, we also offer a variety of turf management insecticides to help keep your vegetation free of pests. 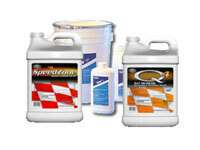 Insecticides are available in both granular and liquid form, by the piece or by the pallet. Whatever your turf management project or insect problem may be, take a look at our Insecticides page to see how we can help with your turf management project, big or small. 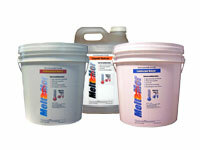 Our pre-packaged Melt-Mor snow and ice melt products are available by the piece or by the pallet for all of your de-icing needs. For the larger, professional snow removal companies, property management people, municipalities, resellers and other bulk users, we also provide custom blended de-icing products produced and packaged to fit your needs. Visit our Melt-Mor page or our Melt-Mor website for more details. Fertimix is a custom fertilizer specialist that has been serving the fertilizer needs of the Twin Cities area of southern Minnesota and the greater upper midwest area since the mid '80s.